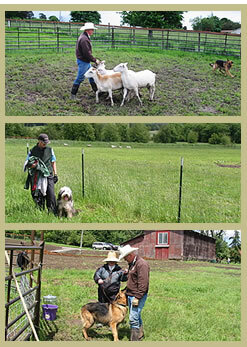 Welcome to the Rocking Dog Ranch, located South of beautiful Salem, Oregon. Our facility has many different fields and arenas for herding, as well as a 4.5 acre field for more challenging field work. We have lots of information for you on our website, please feel free to take a look around. Drop us an email with any questions you might have!